Adults can have up to 32 teeth. The wisdom teeth are the last to appear, right at the back of the mouth. They usually appear when you are between 17 and 25, although sometimes they appear many years later. People often have jaws that are too small for all 32 teeth to fit - 28 is often the most we have room and also due to its arbitrary way of eruption there may not be enough space for the wisdom teeth to erupt properly, hence its removal is required. Wisdom tooth requires proper space when erupting. It happens between the ages of 17 to 25. 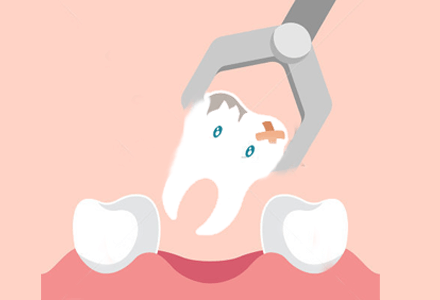 But if the tooth erupts partially or get impacted somehow, removal becomes the only choice. You need experienced dentists to complete the extraction process safely. Mumbai based Shah’s Dental Serenity is the perfect choice for wisdom tooth extraction. Wisdom tooth breaks through your gum tissue, which might cause a variety of problems. Partial eruptions happen when your jaw doesn’t have enough space to offer. This creates a pressure on rest of your teeth, which results in unmanageable pain. At Shah’s Dental Serenity, we have a specialized team that takes care of tooth extractions. Using local anesthetic we perform wisdom tooth extraction surgically. Hundreds of patients have successfully had their wisdom tooth extracted. Most of the times, it doesn’t take more than one visit. However, the sessions depend on the complexity of a case. Sometimes, a tooth stays inside the gum tissue, which requires extraction in multiple pieces. 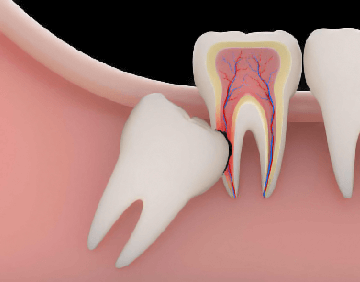 Wisdom Tooth Extraction With Best Dental Clinic In Mumbai. We advise you to discuss and meet our dentists if possible. This way, you can get a comprehensive consultation at Shah’s Dental Serenity on wisdom tooth extraction process. We are also available via call and email to answer all your questions.